The pavement alongside Sydney Gardens. Here’s a picture showing you a pavement view of Sydney Place leading up to Sydney Road and alongside Bath‘s Sydney Gardens. Just recently a lot of laurel bushes immediately behind the low stone wall separating park from pavement have been cut back. It has let more light in but also fully exposed the carpet of bottles and bags that is being dumped by those who obviously think it is ok to throw their empties and unwanted baggage wherever they please. Here’s what is on the other side of the wall! Not quite sure who has the job of clearing this. Is it the park keepers who must wade through the bushes or should the road sweepers lean over the wall and pick it up? While the rubbish should not have been put there in the first place is beyond question but clearing it as soon as possible might also prevent others thinking it’s a communal dump. 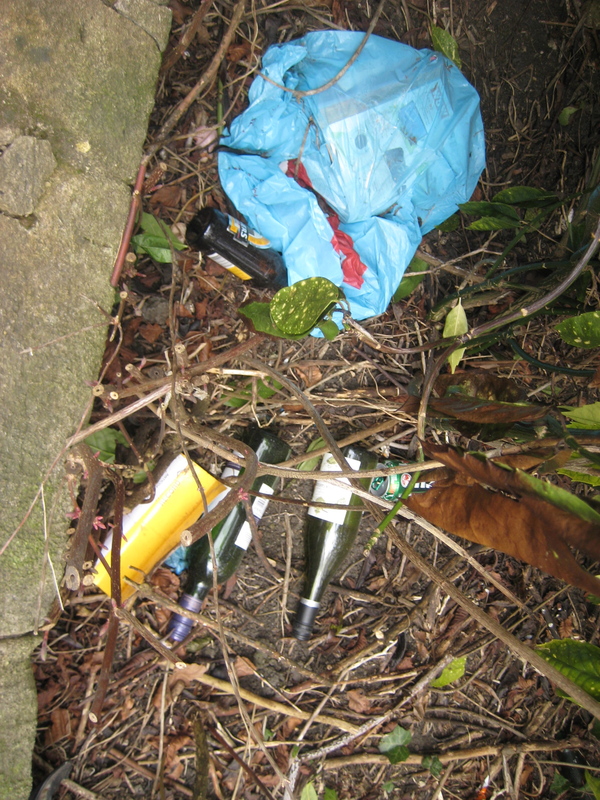 While we are on the subject of rubbish – why in the world are people not being discouraged from putting refuse out for collection the night before the collectors arrive. All over this city – every morning – you will find plenty of visible and very nasty evidence of bags being ripped open by badgers, foxes or gulls in search of the food they can smell. 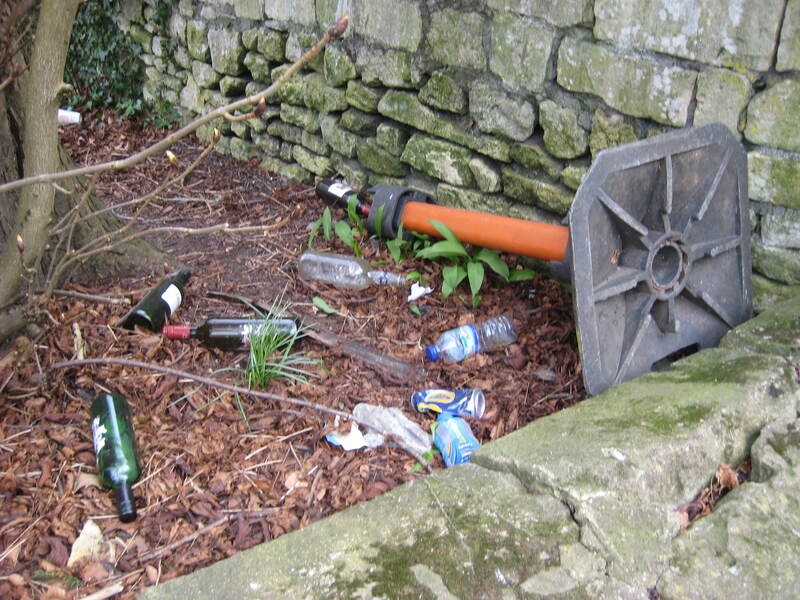 You cannot expect B&NES workers to go chasing your cans, pizza remains and disposable nappies up and down every street in Bath and district. It cannot be that difficult to put bags of rubbish and recyclable out first thing in the morning before you start your day – happy in the knowledge that you DO care about your city!